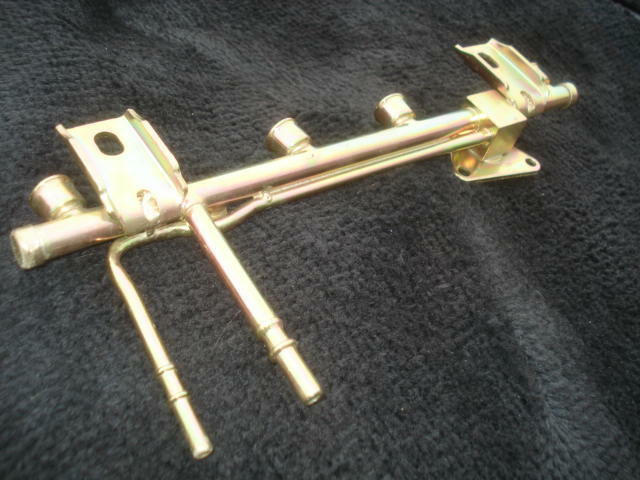 Restored Fuel Rail for all year XRs. Acid dipped to remove years of dirt and such. Re-plated in fresh yellow zinc. Extremely nice engine dress up item.